I am a cheesecake lover, always have been. However, anytime I eat cheesecake I feel extremely guilty. With this cheesecake, there is no guilt, no saturated fat, no extra carbs. So, take a chance and try a new recipe! Might I add: it has PROTEIN! 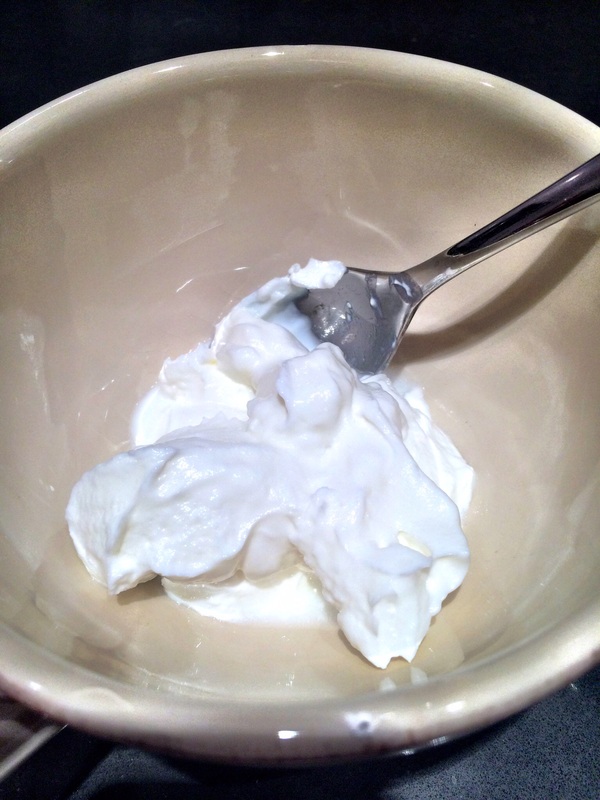 Take the greek yogurt ( I used chobani) and mix with the egg whites and honey. 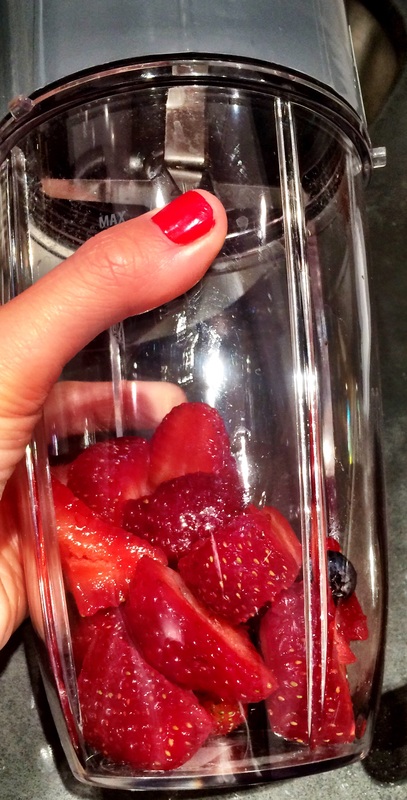 Then take 1/4 cup sliced strawberries and place them in a nutri-bullet or blender and blend away. 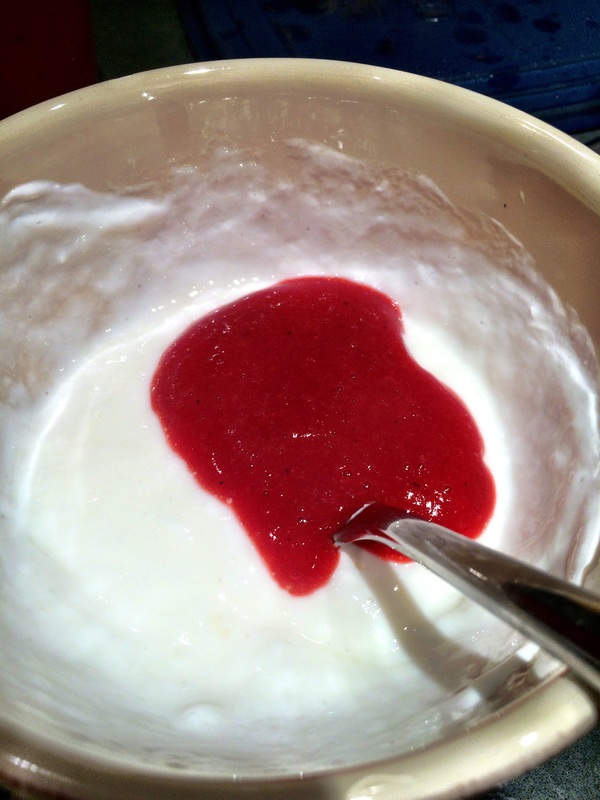 Pour half of the strawberry mixture into the greek yogurt mixture. 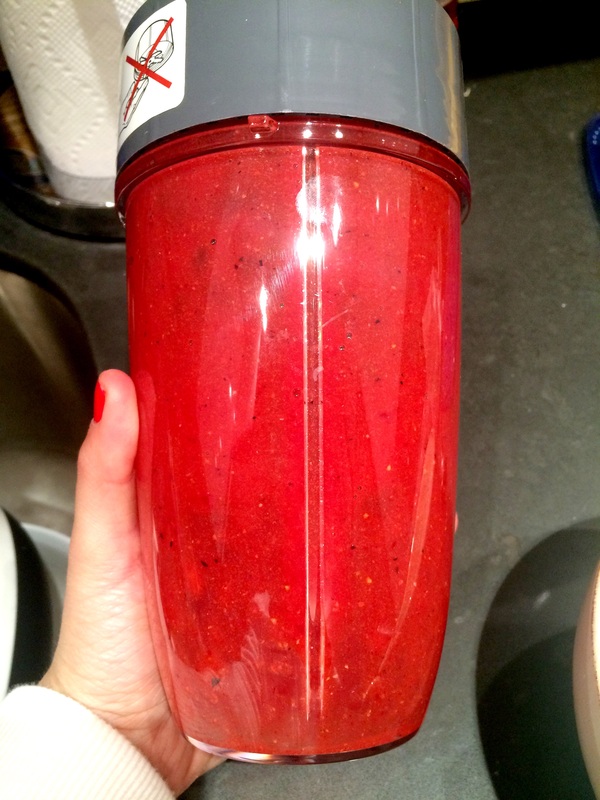 Using your spoon, mix it 2-3 times so it looks like white/red marble. 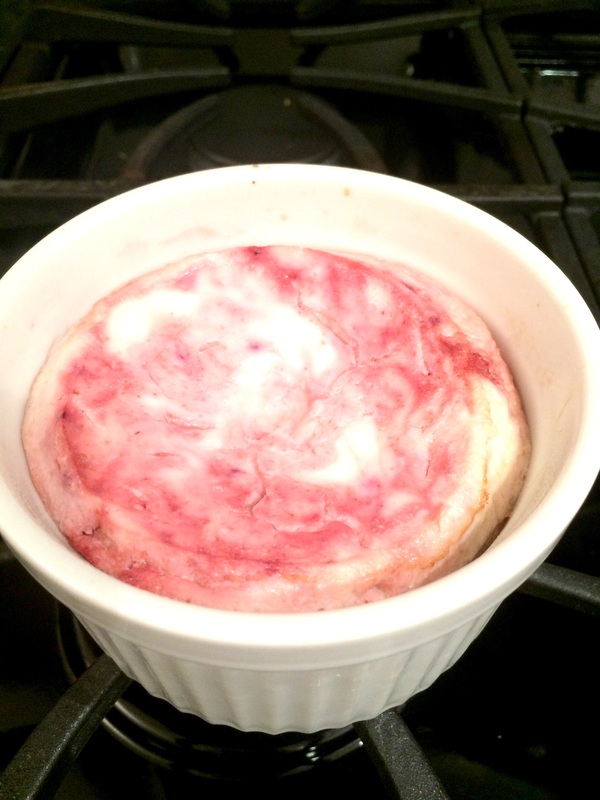 Pour the mixture into a greased ramekin and bake on 350 degrees for 25 minutes. 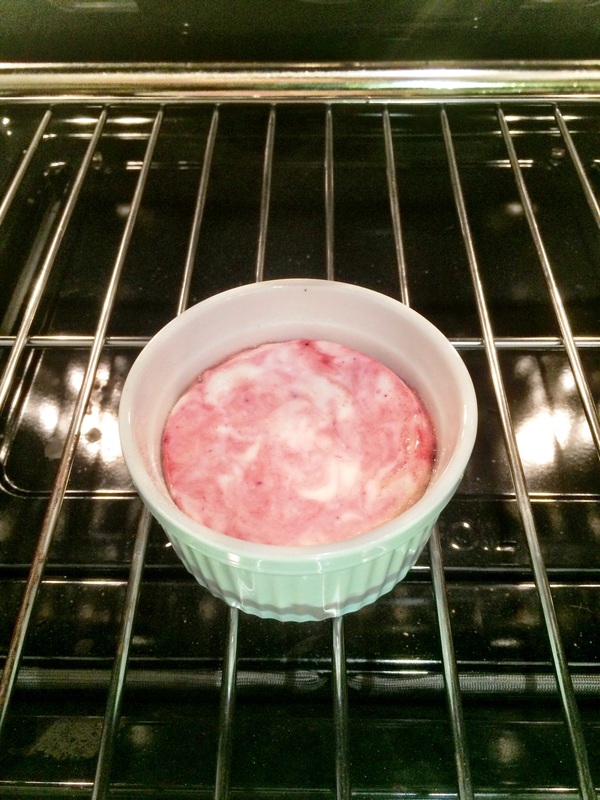 Once the cheesecake is firm and no longer liquid in the middle, remove it from the oven. Let it cool and place in the refrigerator. 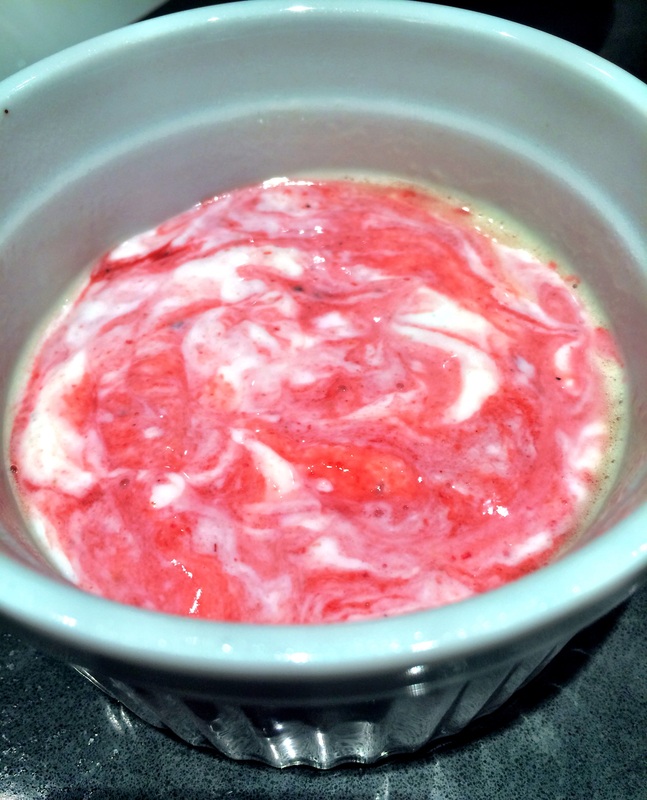 Then take the remaining strawberry mixture and drizzle it over the top of the cake (optional) and top with extra strawberries. Linzer, this looks great! I love that it is a single serving recipe, too. 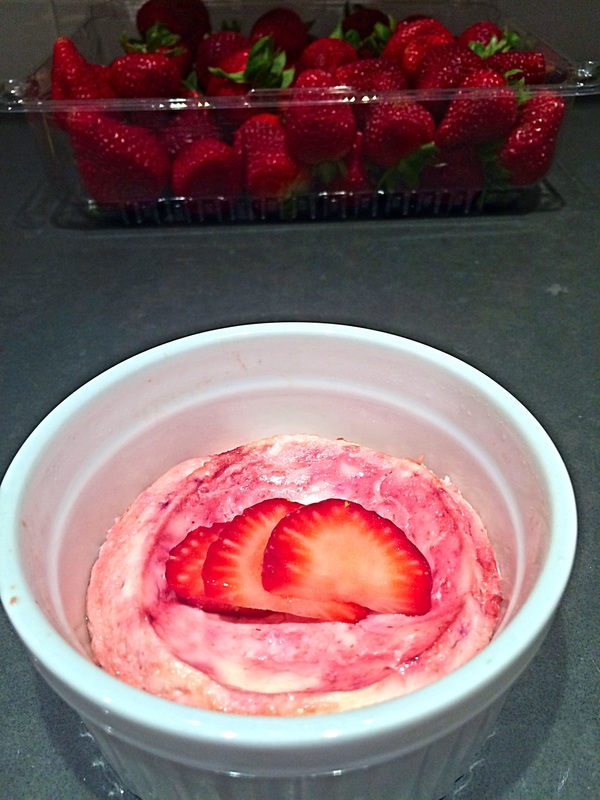 I hope you get a chance to check out my protein cheesecake recipes, too! Linzer… Like the recipe because it easy and with foods I enjoy to eat. Can’t wait to try. 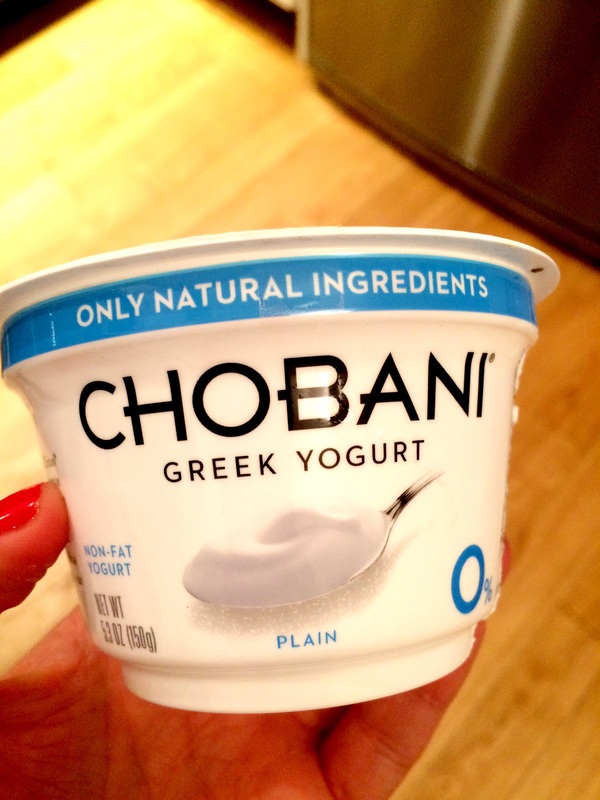 I wish I could eat yogurt!! This looks divine!